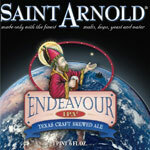 Saint Arnold Brewing is set to launch their newest year-round beer, Endeavour, on Wednesday, February 29th. Endeavour is a Double IPA based on Divine Reserve 11 that was released last year. To kick off the new beer in style, they've got the Alamo Drafthouse's Rolling Roadshow coming out to the brewery that evening to show the timeless classic "Spaceballs". Tickets are $15 and can be purchased online but they will ONLY be doing check in between 6:00pm and 6:45pm, so you need to ensure you're there on time. Also, don't forget to bring your own chair if you dont' want to sit on the ground and your own food if you're going to get hungry.